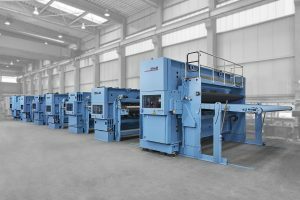 Huafon Microfiber Co. Ltd. has placed orders for a total of 10 complete, most advanced and high capacity needling lines with DiloGroup for its new plant in Qidong, Jiangsu Province, China since 2015. All these lines consist of DiloTemafa high capacity blending systems, DiloSpinnbau special card feeding systems with Twinflow for very homogenous flock matt, high capacity carding machines., DiloMachines high speed crosslappers with special air-guide system for the best layering performance with precise web edges as well as numerous DiloMachines needle looms with Hyperpunch technology. All lines are equipped with CV1 system for the best uniformity towards end product. The first 6 lines are already in production, the next 2 lines are being installed at site, and the last 2 lines are scheduled for shipment in the first half of 2017. Huafon Microfiber Co. Ltd was established in 2002 and is now one of the biggest producers for artificial leather made from sea-island fiber worldwide. The main applications of these high quality artificial leathers are for shoe, automotive, glove, bag, sofa etc. 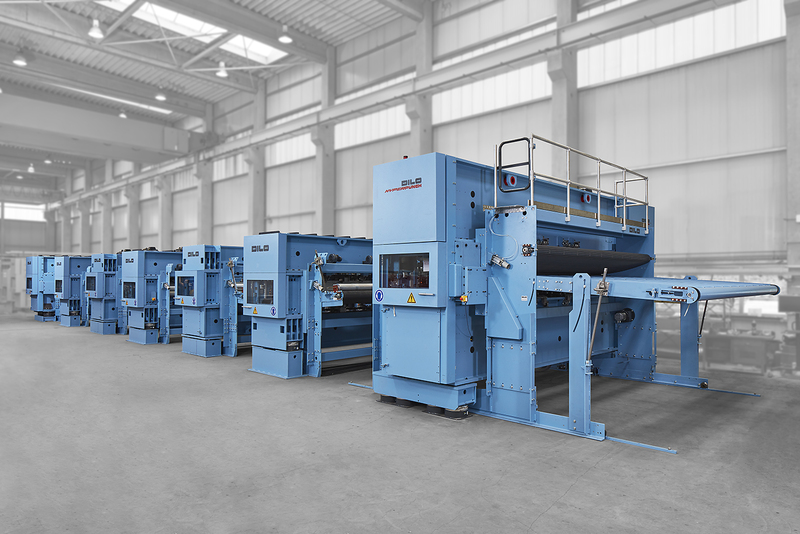 DiloGroup supplied the first complete needling line to Huafon in Jinshan, China, in 2003 and up to 2016 Huafon ordered a total of 19 needling lines.